The commercial office space is available on lease at times square(L & l). 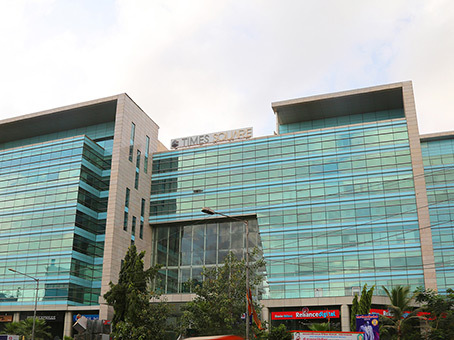 Its located in andheri - Kurla road, andheri east. Its a large and grand office area; And has a built-Up area of 13430 sq.Ft and a carpet area of 8140 sq.Ft. Its like a bare-Shell office space where it can be furnished if the tenant's wants to as per their business need. The rental price for unfurnished space is rs. 120 per sq.Ft whereas if furnished the rental would be rs. 160 per sq.Ft. It comes up with 11 car parking's slots. For connectivity marol naka and Ssaki naka metro station would be convenient to travel easily.